Born: 21st May 1897, Ipswich. Died: 24th November 1917; age 20; Died of Wounds in Salonica, Greece. Joined the 1st Suffolk Yeomanry at the outbreak of war, and was wounded at Anzac Cove. Valentine rejoined at Alexandria and was recommended for a commission, he under went his training at Wadham’s College, Oxford. Whilst at the college he gained the rank of 2nd Lieutenant. Ailment: Peritonsillar abscess – Quinsey 18th August 1917. Regiment: King’s Own, Royal Lancaster Regiment. Relatives Notified & Address: Son of Edward & Patty Beard, of 298, Norwich Road, Ipswich. 1901 74, Orford Street, Ipswich. Valentine was 3 years old and living with his parents & sister. Edward Beard, 40, a House Furnisher – employer, born Sheffield, Yorkshire. Patty Repton Beard (nee Barratt), 33, born Leicester, Leicestershire. Marian Beard, 7, born Ipswich. Valentine was 13 years old and living with his parents, sister & paternal grandmother. Edward, 50, a House Furnisher – employer. Sarah Beard, 76, a widow, born Birmingham, Warwickshire. 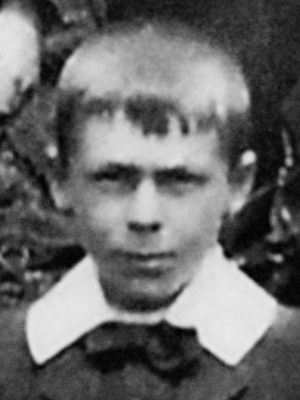 Valentine attended Ipswich School – entered 1906 – he was in the O.T.C. Valentine left in 1912 to enter the business of his uncle Messrs. T. Parkington & Son, Ipswich. Valentine’s medals were sent to his family on the 4th August 1921. Valentine is remembered on Ipswich School’s War memorial.